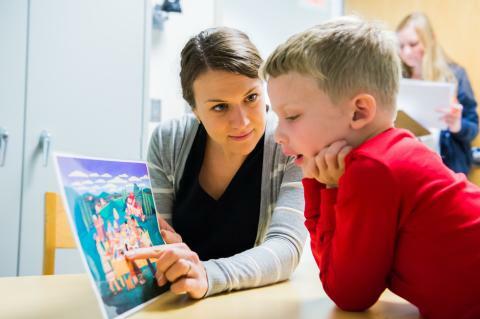 The Lurie Center for Autism at MGH is a multidisciplinary clinical care program that treats individuals across the lifespan with developmental disabilities, including autism spectrum disorder (ASD). The Lurie Center evaluates and provides ongoing clinical treatment and services to thousands of individuals each year, making it one of the largest clinical centers of its kind. In addition, it is unique in that it approaches ASD and other developmental disorders from a multidisciplinary perspective, including psychiatry, genetics, gastroenterology, neurology, and behavioral therapy, all under one roof, and conducts clinical research in each of these areas. Dr. Bilbo was recruited to the MGH in 2016 to become the first Director of Research for the center, a pursuit that is initially focused on the identification of a neuroimmune or neuroinflammatory based subtype of ASD. All postdocs and other trainees that join the Bilbo lab have the extraordinarily unique opportunity to be involved in both basic/fundamental and in clinical research. For instance, all fellows can shadow clinicians and engage with patients and their families, to be involved in advocacy and in philanthropic outreach efforts, and most importantly to help design and conduct clinical research; e.g. in the collection of blood monocytes for genetic and mechanistic analyses. The clinical (Lurie Center) and preclinical (Bilbo lab) arms meet monthly to share data updates to the entire team. For these talks, fellows must be able to present their findings in “lay terms”, understandable to those without fundamental science background or training, and vice versa; and thus gain valuable experience in science communication and presentation. These meetings have proven invaluable in helping to refine hypotheses, and to design mouse experiments in a way that best serves and reflects the clinical population of interest. Altogether we strive to create a novel research environment via the joining of the preclinical labs with the Lurie Center for Autism, which is, we believe, exceptionally unique for postdoctoral scholars and students within the basic sciences.